What security program should I use? There are many on the market. But, the days of using a free antivirus are over. They cannot be trusted to do the whole job. On the other hand, many Internet Security packages include extras that can choke up your system. 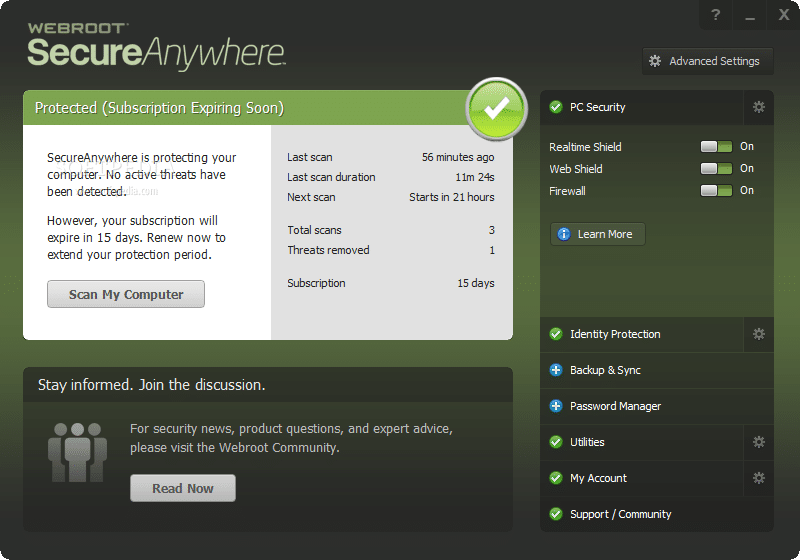 We use Webroot SecureAnywhere. It’s a strong antivirus/antimalware program that notifies us if you encounter a threat. That way, our customers don’t have to worry about being protected. Whatever you choose, be sure it is an antivirus/antimalware program first…then all the extras. Always know the name of your security program, keep it up to date and make sure you know how to contact their technical support if necessary.